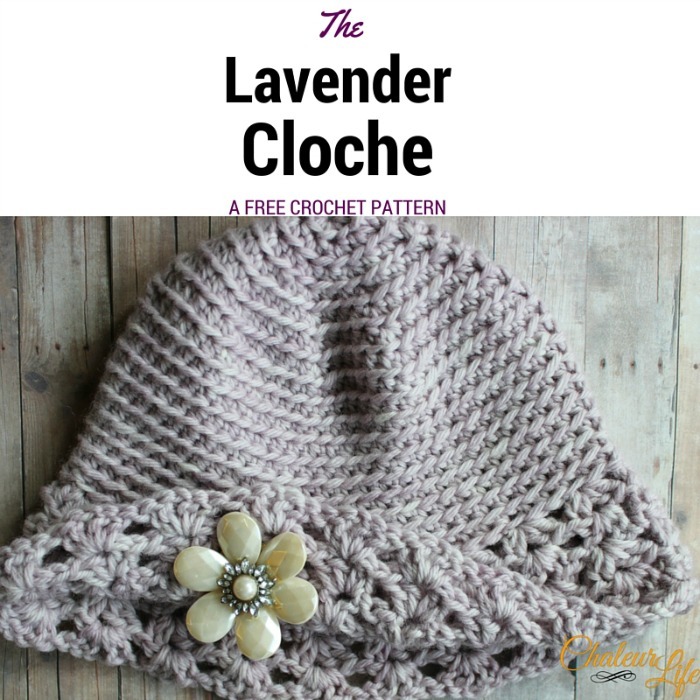 This beautiful cloche hat pattern is brought to you by our guest blogger, Jess from Chaleur Life. *Disclaimer: This post includes affiliate links. I love wearing hats (partially because I hate doing my hair!) and while I typically love wearing the slouchy hat style, I wanted something different. So I figured I'd try out the cloche style of hat this time around. I seriously love it! I kind of wonder why I've never made one before. These hats where huge in the 1920's and I'm thinking it's time they make a comeback! (dc 2, ch, dc 2) in each ch space from previous round, slip to join, ch 3 and turn. (dc 2, ch, dc 2) in each ch space from previous round, slip to join, ch 3 and turn. Bind off and weave in ends. Fold one side of the brim up and secure with a brooch or button. 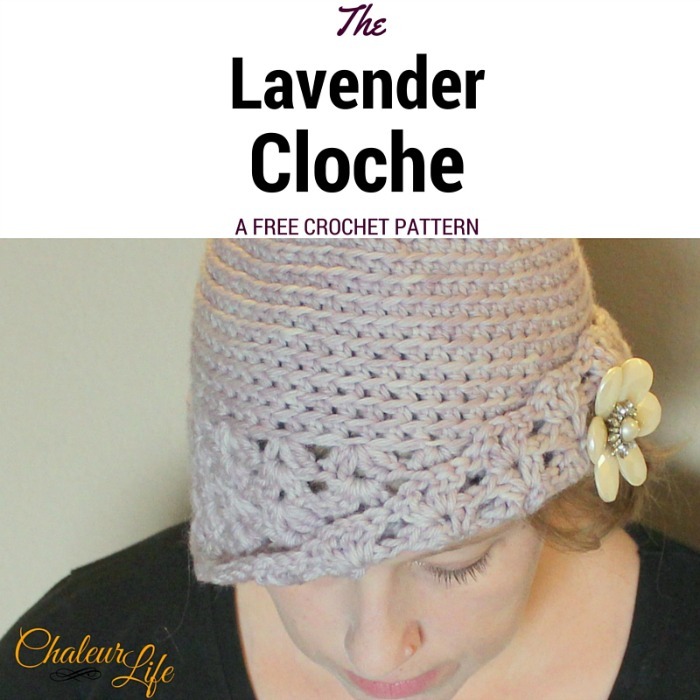 Many thanks to thank Jessica for sharing this pretty cloche hat pattern with our readers! 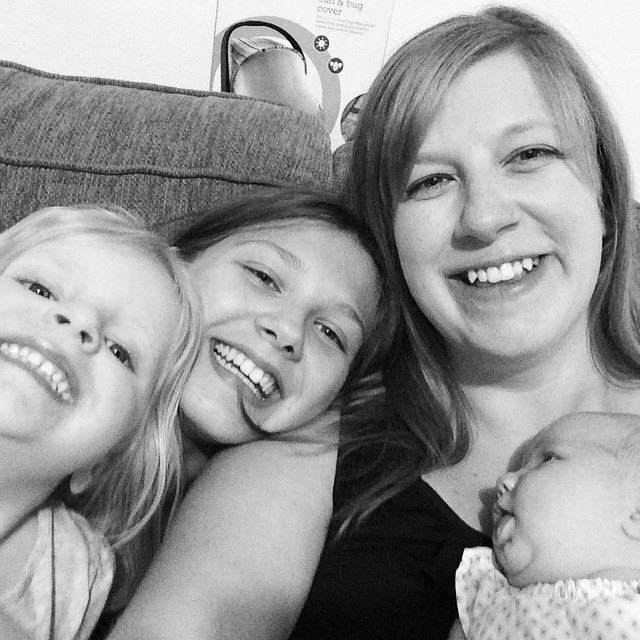 Jessica Spencer is the designer behind the Chaleur Life Blog. You can read more about Jess and check out her other guest posts on My Hobby is Crochet Contributor Page . 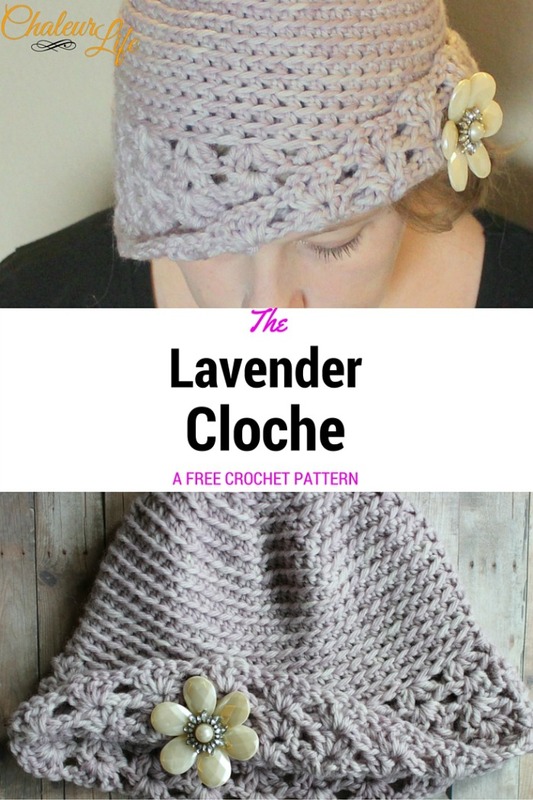 Don't miss out new free crochet patterns, tutorials and other updates from My Hobby is Crochet! 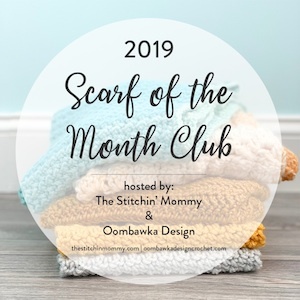 Subscribe to the Free Newsletter and follow My Hobby is Crochet on Facebook, Pinterest , Bloglovin , Google+, Instagram and Twitter.